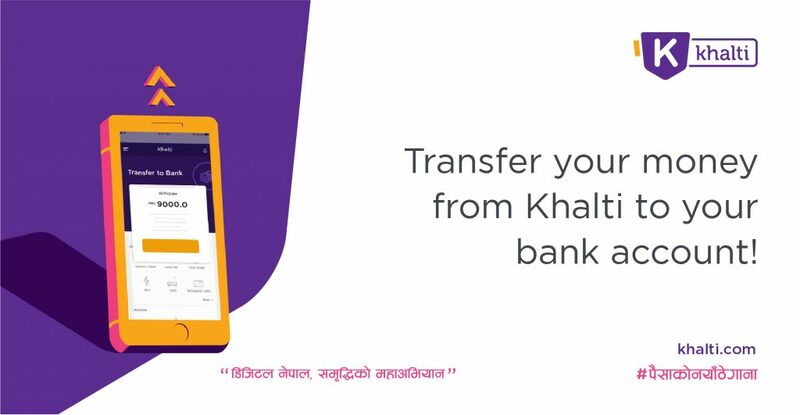 We are happy to announce that Khalti, Nepal’s homegrown digital wallet and payment gateway, has completed two years of journey and is entering into the third year of operation from today. On 26 January 2017, we launched Khalti and embarked on the journey of digitizing payments in Nepal. Our thus far has been many interesting incidences and milestones. On this special day, we would like to share with you some of the achievements we made last year. 1. Khalti’s Refer And Earn campaign goes viral nationwide! On the occasion of our first anniversary, we brought Refer and Earn offer to you. To our surprise, the referral campaign went viral nationwide. We reached every nook and corner of the nation. 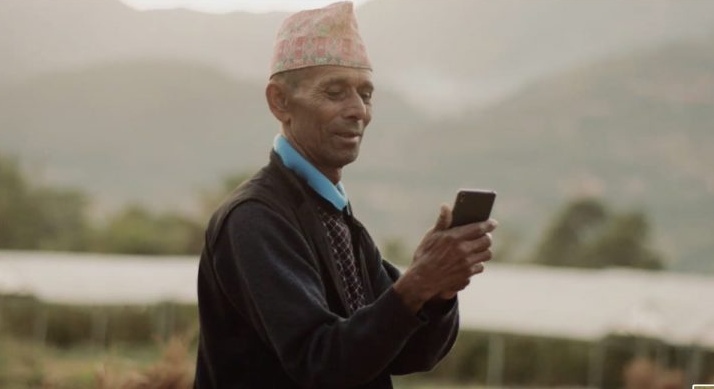 This was really a huge boost in our mission of promoting digital payments in Nepal. Thank you everyone who participated in this campaign and helped us make it a massive success. 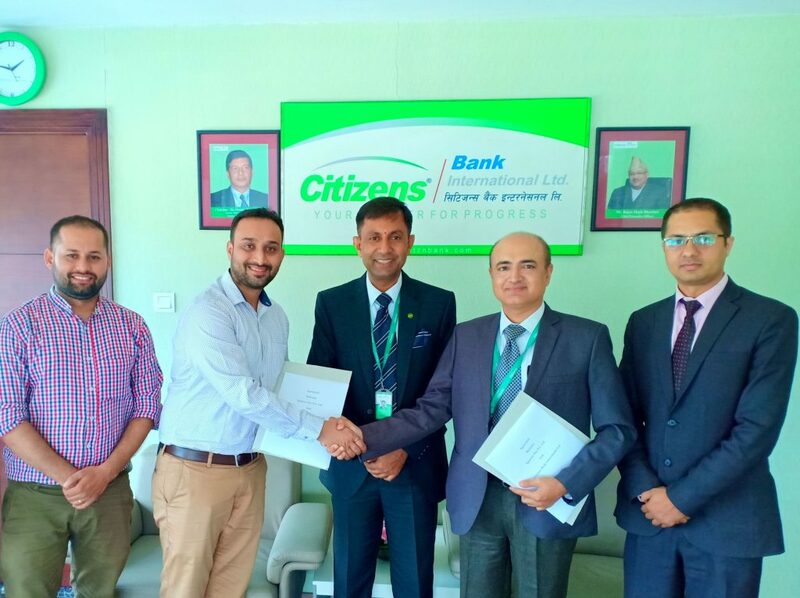 This year, we partnered with the majority of ‘A’ Class Commercial Banks in Nepal to facilitate you to load fund in your Khalti account. We also started fund load facility from VISA, SCT, MasterCard, and International cards. 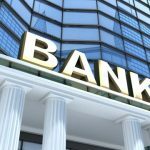 We are in the process of onboarding the rest of the banks into our system and would be available very shortly. We started partnership with numerous merchants and facilitated them to accept digital payments. 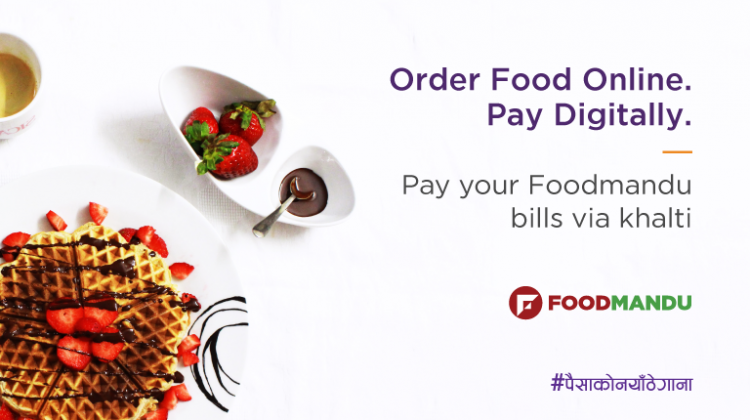 After 8 long years of establishment, Foodmandu started accepting digital payments from its customers this year. 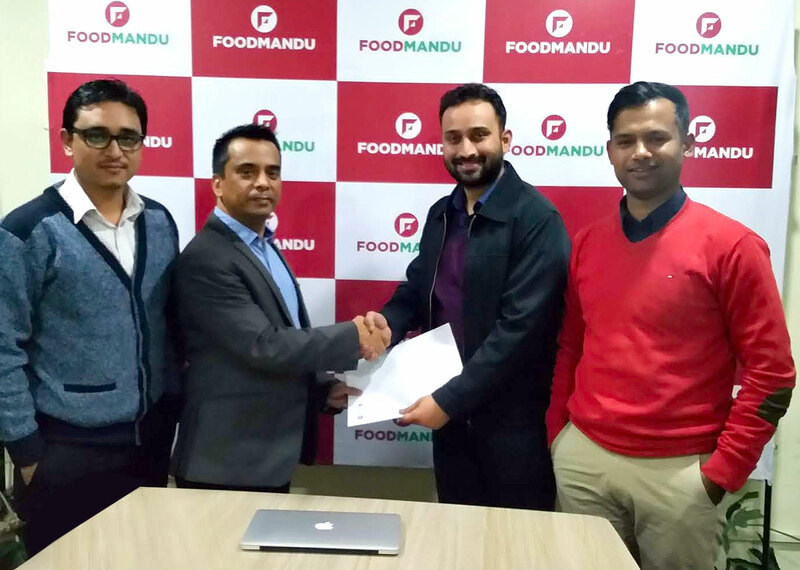 Khalti is glad to facilitate Foodmandu for this initiation. Khalti also partnered with majority of multiplexes in Nepal this year including QFX Cinemas and Big Movies. 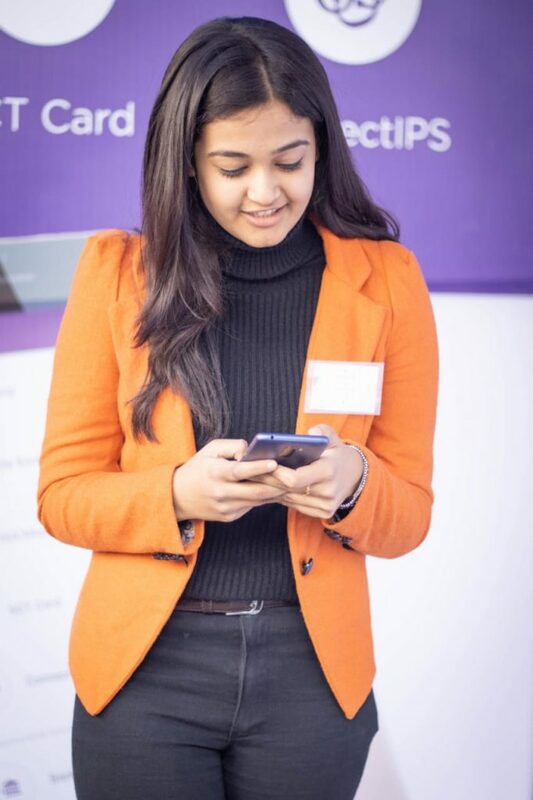 Likewise, we also partnered with OYO Rooms to facilitate hotel booking and payments; with Tootle to ease payments for bike hailing services; with Kitab Yatra to facilitate digital payment for book purchases; with Mero Surakshya to digitize payments for mobile protection plan in Nepal, and with numerous other merchants and facilitated them to accept Khalti’s easy online payments. Furthermore, Khalti also facilitated Federation of Computer Association of Nepal to accept digital payments for stall booking for CAN InfoTech 2019 using Khalti’s digital payment system. 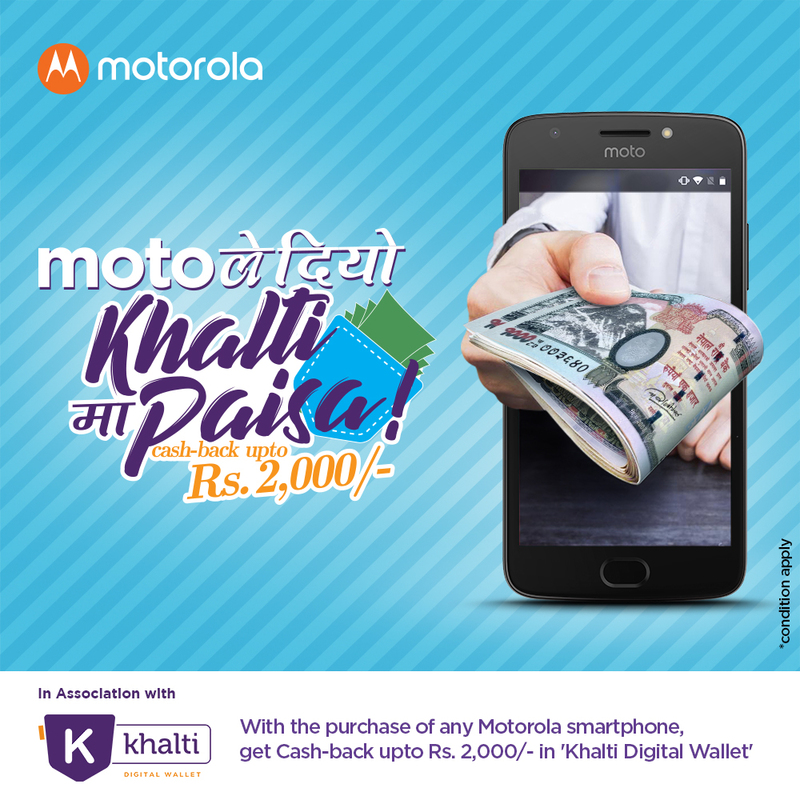 Last year, Khalti joined hands with Motorola and rolled out cashback offers of up to Rs2,000 on a selected range of Motorola smartphones. We are glad to promote digital payment habit among new smartphone buyers. Last year, Khalti also signed an agreement with Nepal Clearing House Limited (NCHL). 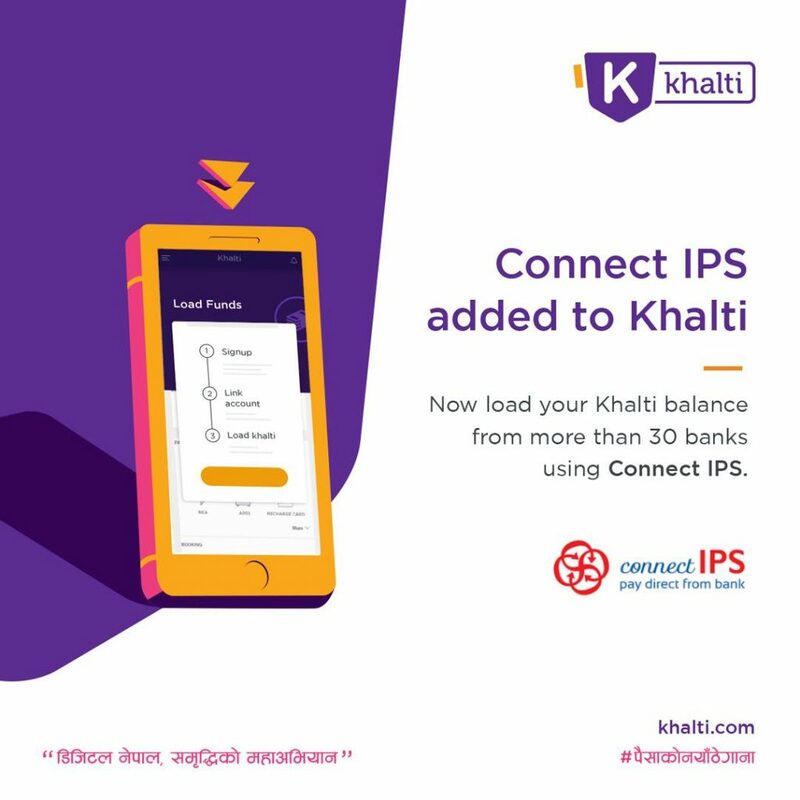 Now, Khalti users can load funds to their Khalti wallet directly from connectIPS e-Payment System. 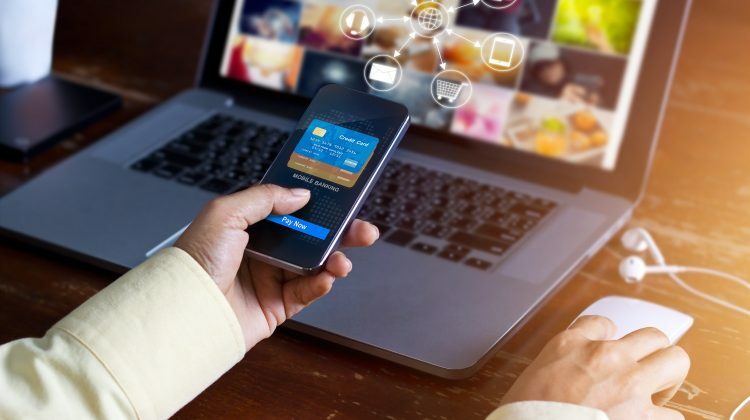 Money transfers are now simpler and faster! 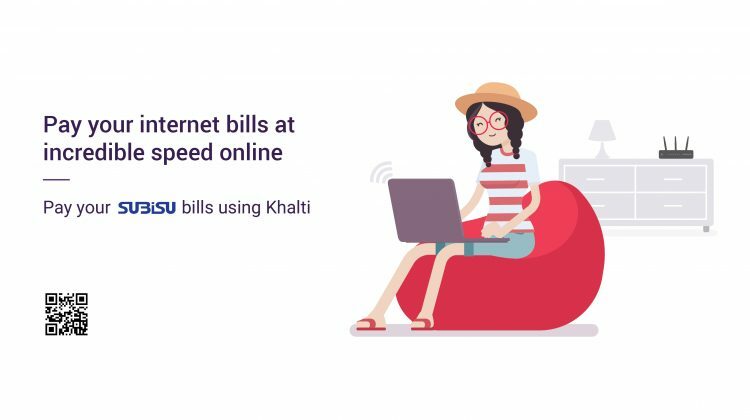 In addition to offering the convenience of a digital wallet for easy transactions, this cash out feature makes Khalti ideal for all users, enabling them to digitize cash, remit it to family and friends, and/or withdraw it at their convenience. 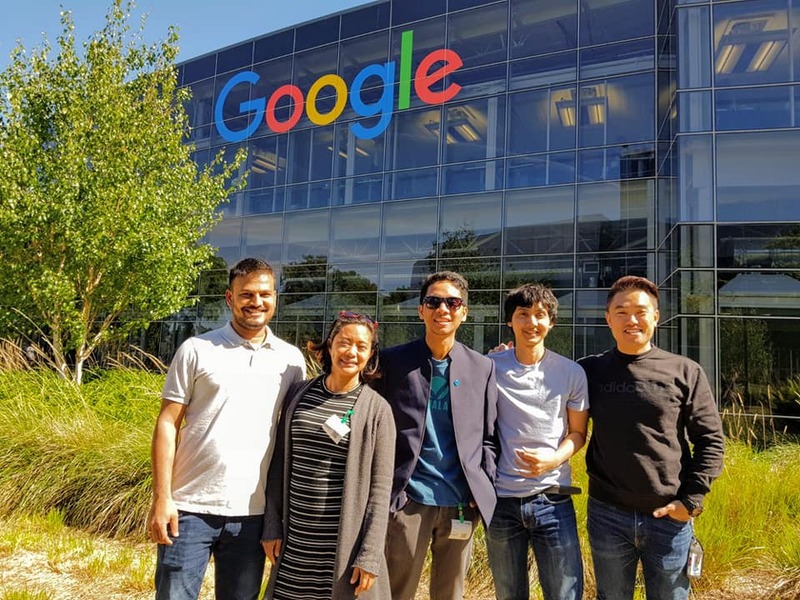 As the winner of GBG Storytelling competition, Khalti went to Google headquarters on the official invitation of the Internet Search Giant to attend 2018 Google I/O held from May 8 – May 10 last year. 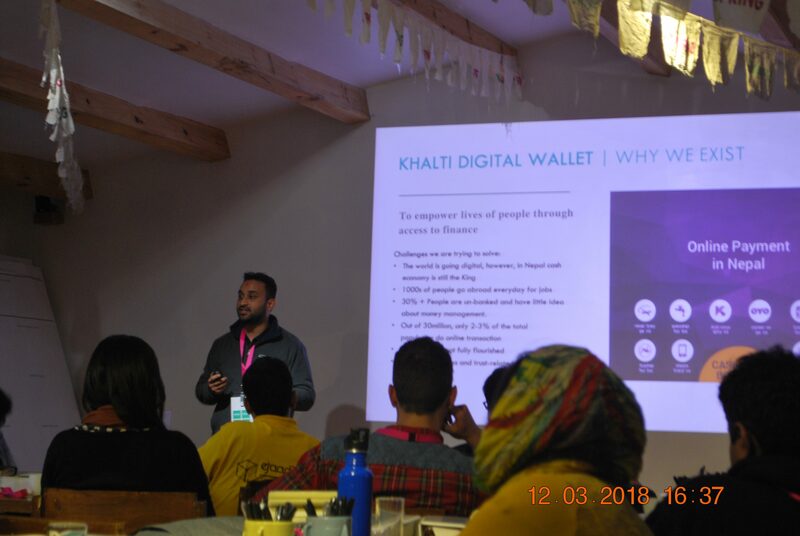 Khalti is currently being mentored by digital payment experts at Google. 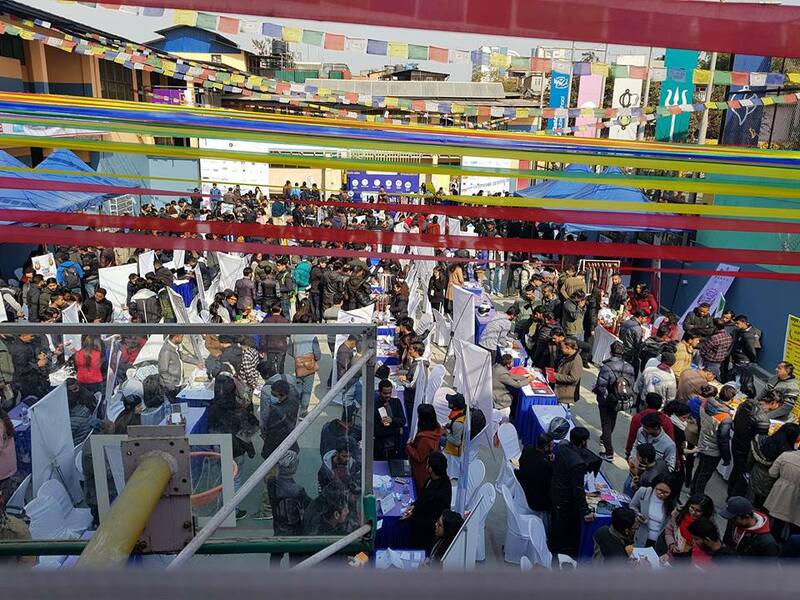 As its CSR project, Khalti partnered with Google Business Group Kathmandu to host Khalti presents GBG BizFest 2019, the first of its kind and biggest startup exhibition of Nepal. The expo attracted 120+ Startups and 5000+ Visitors from across the nation. Khalti is working to promote the entrepreneurial ecosystem in Nepal through various similar activities. 9. Selected for Spring Accelerator program, rolling out Smart Chhori campaign very soon! While the entire country is talking about economic revolution and smart cities, no one is thinking that it is impossible without participation of 51% of the females that our country has. There is a stereotype that girls don’t understand investments and hence can’t manage finance, but are good only for household chores. To change this mindset and bridge the digital gender divide, Khalti is all set to roll out a special Smart Chhori project with an assistance from Spring Accelerator Program. 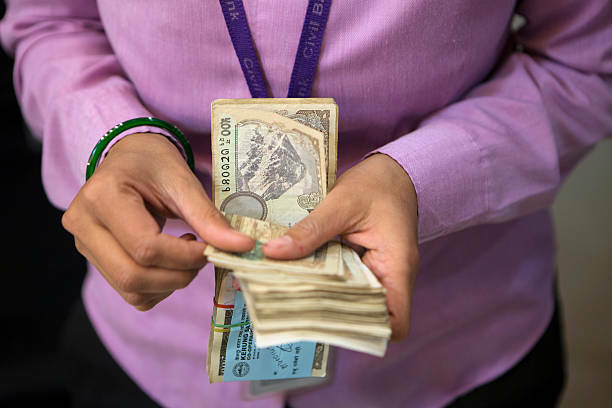 The campaign strives to transform lives of adolescent girls in Nepal through digital payment technology. After successful completion of the project, more parents will see their daughters as assets, not a liability. The society will believe in their girls. Ko Banchha Crorepati (Who Will Be a Millionaire) is a Nepali television game show based on the British Program ‘Who Wants to Be a Millionaire?’ After ruling the roast all over the world, the Nepalese version of the show is here to change the dynamics of TV viewing. The show is being hosted by Rajesh Hamal, the megastar of Nepali film industry and is set to premiere in Nepal on 2 February 2019. Ticketing system for the LIVE Show of KBC Nepal has been made fully digital, and all the tickets will be available through the mobile app of Khalti. We are proud to provide Khalti’s digital ticketing facility for the show as an exclusive digital ticketing partner. Please stay tuned on our social media pages for updates about ticketing for the LIVE show of Ko Banchha Crorepati. Khalti is all set to launch its fully furnished app (upgrade from the previous beta version). A brand new website too is set to launch very shortly. 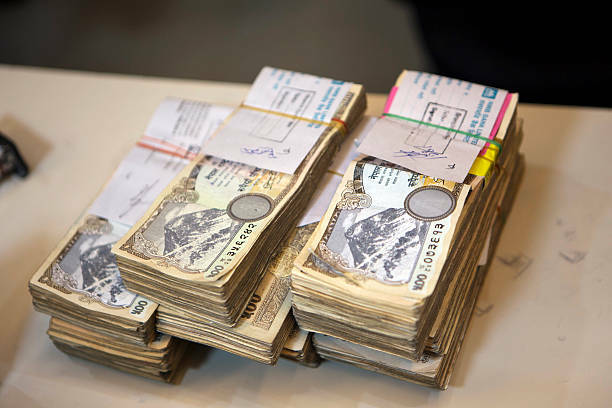 Khalti had started its operation after receiving Letter of Intent (LoI) from Nepal Rastra Bank. The inspection team of experts at NRB has recently visited Khalti and inspected its system. And, the licensing for Payment Service Provider (PSP) is on the process. 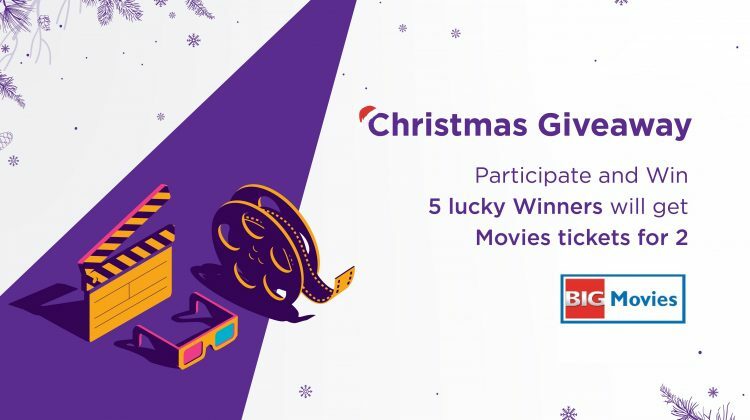 Khalti was the first digital payment platform in Nepal to bring movie ticketing system within its app and website with seat selection facility. Khalti was the first digital payment platform in Nepal to bring hotel booking facility within its app and website. Khalti was the first digital payment app in Nepal to introduce event ticketing system within its app. Users can book event tickets from their smartphones in a matter of few clicks. With digital tickets on their smartphone, Khalti users don’t need to worry about printing the ticket. They can simply show the ticket(s) on your phone at the entry gate where our representatives will scan the ticket(s). 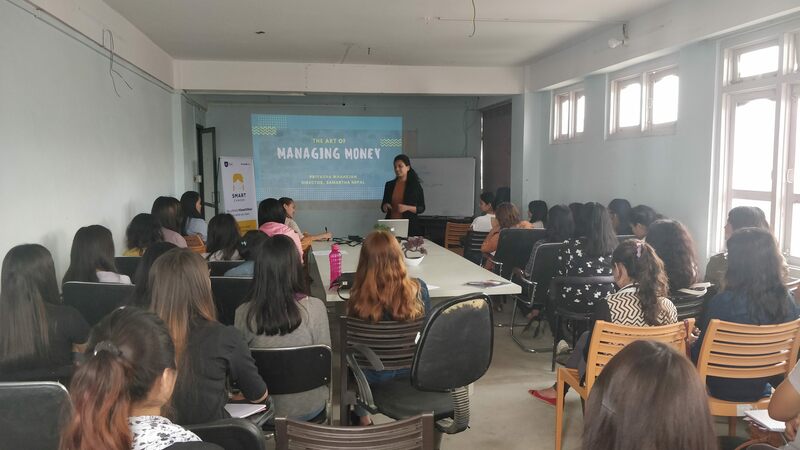 Furthermore, Khalti and its founders have been collaborating with and supporting various events and communities in Nepal including AI Saturdays Nepal (a popular global event on Artificial Intelligence), Connecting IoT & Artificial Intelligence, Quora Community Nepal Meetups, WordPress Seminars, GDG DevFest and GBG Kathmandu sessions among others to promote entrepreneurship and innovation in the country.